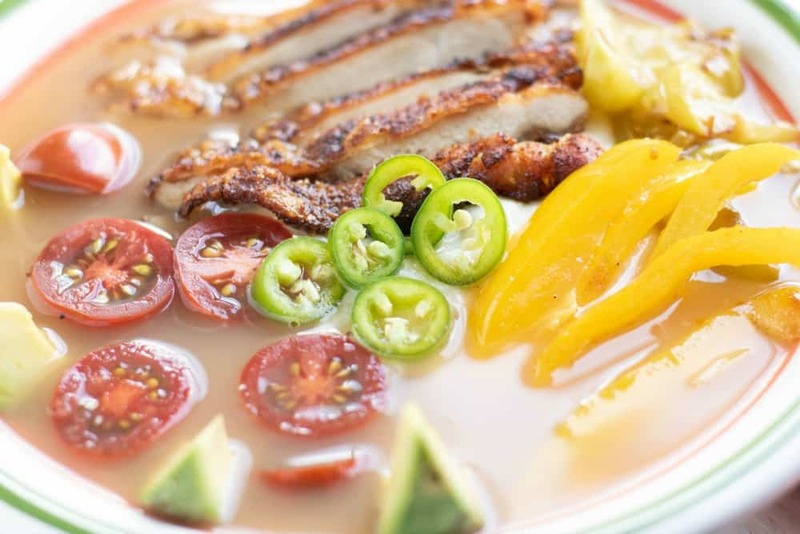 This Southwestern Deconstructed Chicken Keto Soup Bowl is so good and bursting with flavor! It seems like so many people I know are trying out the keto diet to help with weight loss these days. I checked it out a little and it is similar to the sugar free fast I did a while back, although it focuses more on a high fat diet and not just eliminating sugar. Although I am no longer strictly following that sugar free diet, I have kept many of the healthy eating habits I picked up through that process. 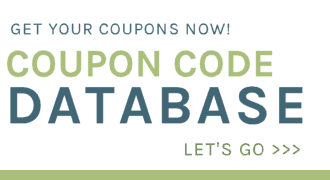 I continue to look for low carb meals with healthy ingredients, including full fats, to add to my meal prepping. I love a good chicken soup this time of year and this recipe is one I know I will love. 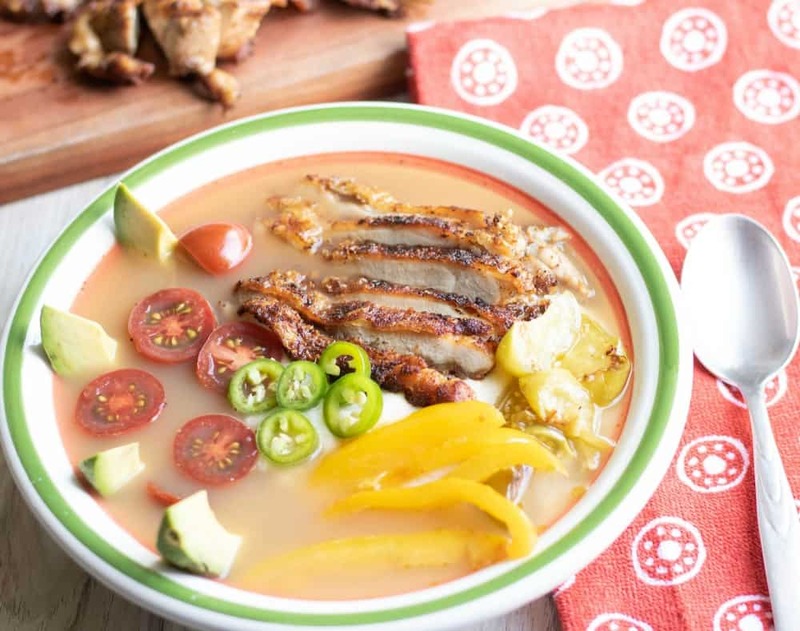 Bursting with a variety of Keto-friendly flavors, textures, and colors, these soup bowls will fill your stomach and your senses. From the pepper jack-infused, mashed cauliflower base to the crispy, skin-on chicken thighs, the flavor combinations are nearly endless. Add to that the sautéed tomatillos and yellow peppers, fresh avocado, tomatoes, and Serrano’s, all brought together by a warming chicken bone broth, and you’ve got yourself a meal! 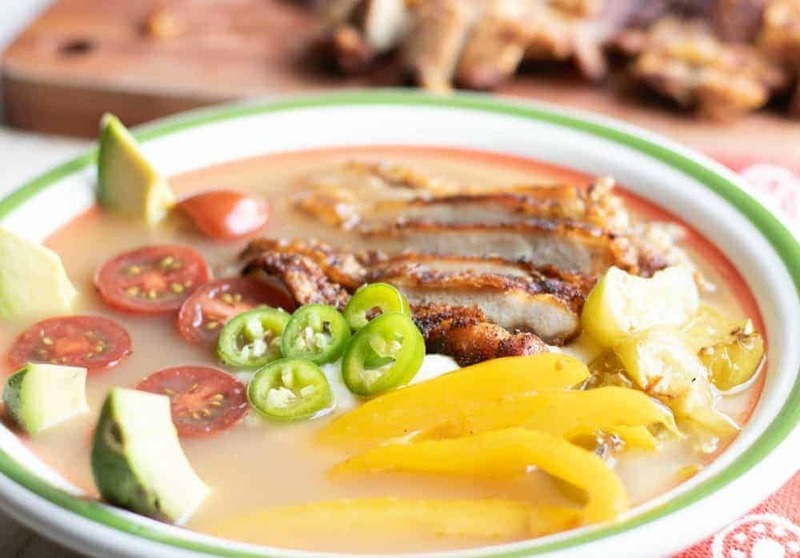 This Keto Soup Recipe makes 4 soup bowls. If you want to make a Keto friendly dessert recipe to go along with this chicken soup keto recipe, give this keto shake a try! It tastes just like a chocolate Frosty! 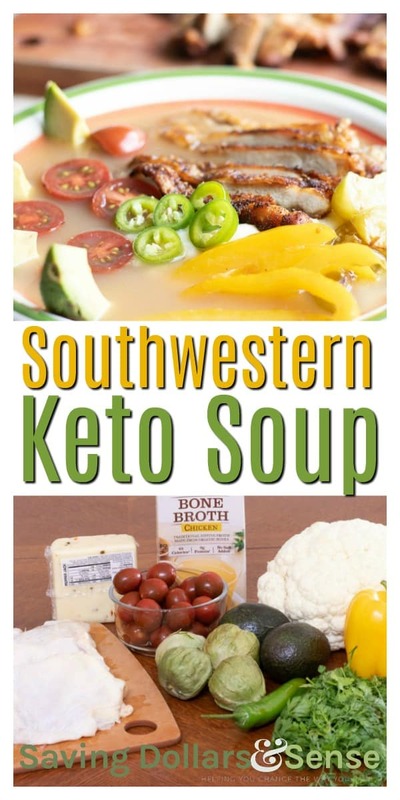 This Southwestern Chicken soup is really easy to make and the deconstructed nature of this ketogenic recipe is so much fun and looks great when it is all put together in the bowl. 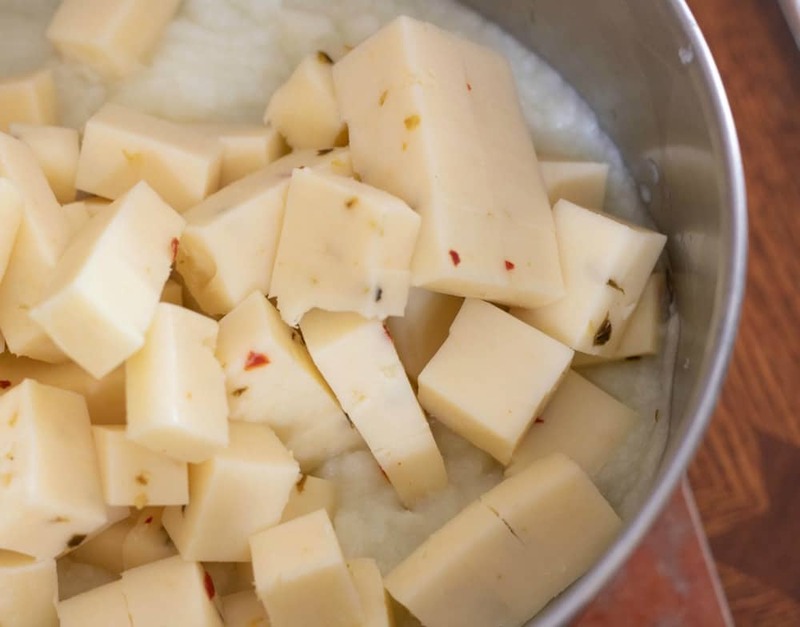 Steam the cauliflower, mash with the pepper jack cheese. 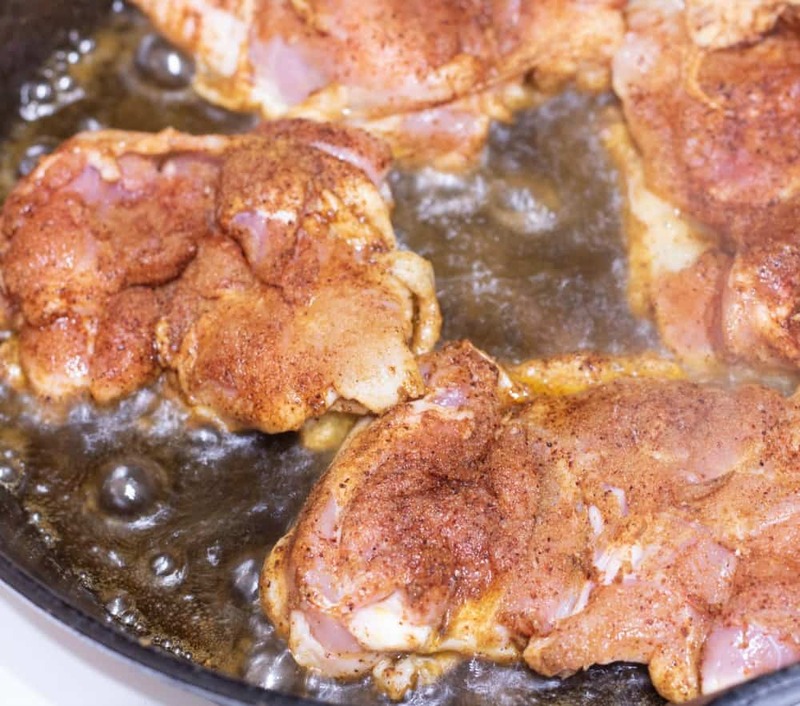 Heat a skillet with 2 tablespoons olive oil . 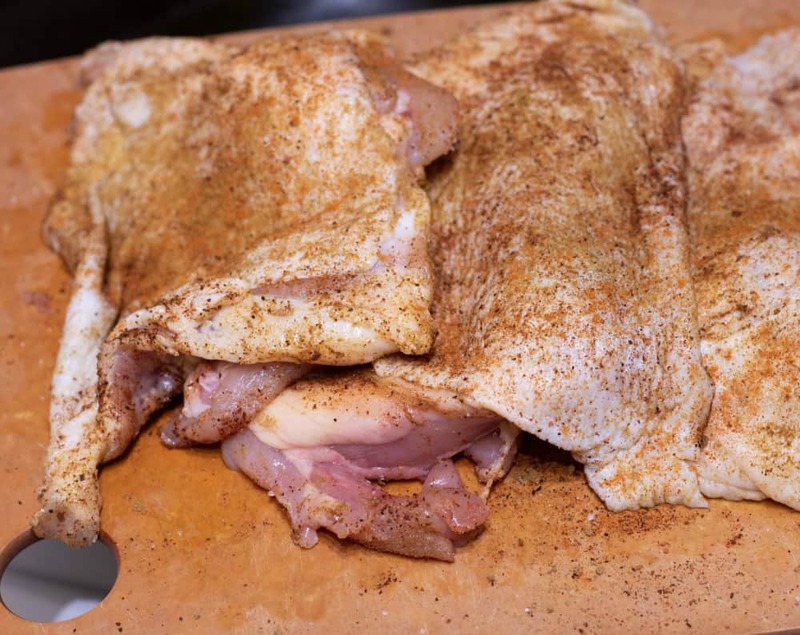 Rub the chicken with the salt and spices, add to the hot oil, skin side down. Cook until 165 degrees, about 6-8 minutes per side. 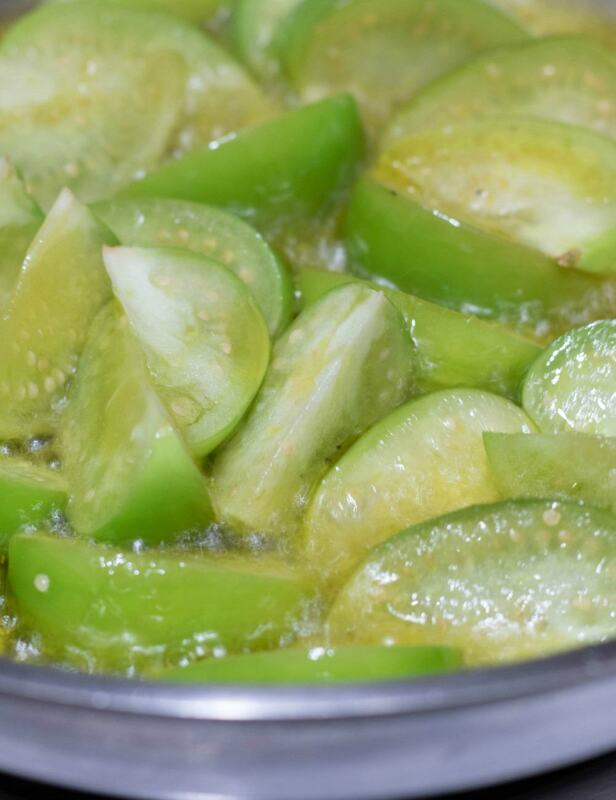 While chicken is cooking, sauté the tomatillos in a tablespoon of butter, do the same with the sliced peppers. Slice the serranos into coins, and the avocados into eights. Heat the chicken broth on the stovetop or in a microwave. For each bowl, place a large dollop of the cauliflower in the middle, top with a sliced chicken thigh then arrange the vegetables beside it. Ladle a cup of hot broth into each bowl, garnish with cilantro, and serve. 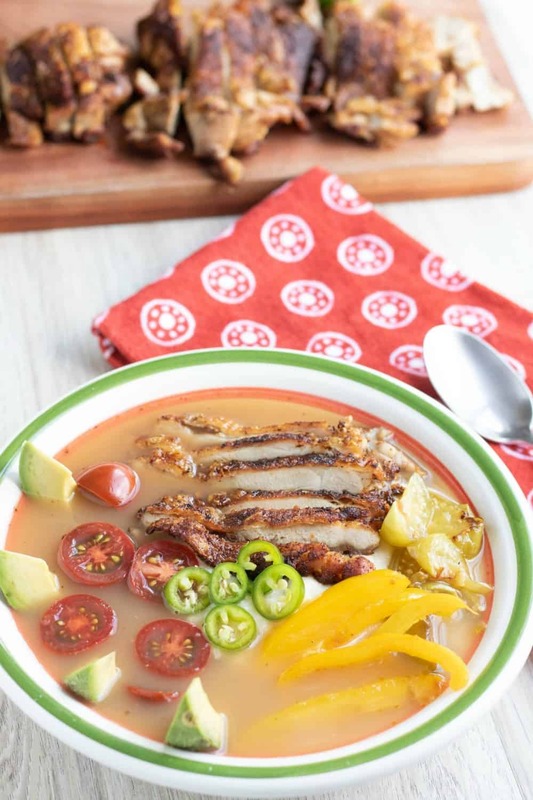 Bursting with a variety of Keto-friendly flavors, textures, and colors, these soup bowls will fill your stomach and your senses. From the pepper jack-infused, mashed cauliflower base to the crispy, skin-on chicken thighs, the flavor combinations are nearly endless. 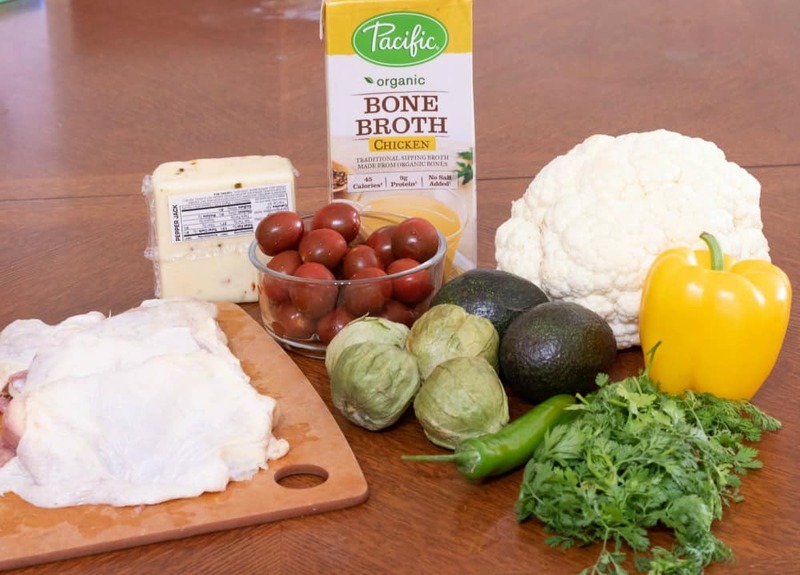 Add to that the sautéed tomatillos and yellow peppers, fresh avocado, tomatoes, and Serrano’s, all brought together by a warming chicken bone broth, and you’ve got yourself a meal! 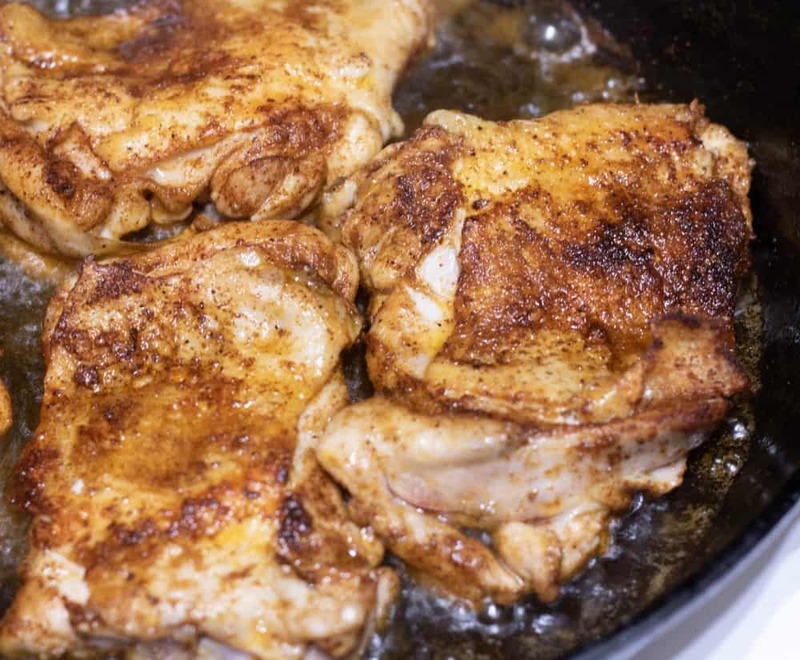 Heat a cast iron skillet with 2 tablespoons olive oil. Cook until 165, about 6-8 minutes per side. Heat the broth on the stovetop or in a microwave. Although this is a Keto Friendly recipe, it is not just for those following a Keto diet. This recipe is delicious and healthy and everyone will love it. The next time that you are looking for a gluten free comfort food, I suggest giving this great recipe a try!